Ruby - A Creative WordPress Blog Theme | BloggersStand ';-1!=b.indexOf("img.youtube.com")&&(a=' ');d=a+''+p+''+titlex+"
It has numerous features with blog width changer on front and lightweight, customizable slider. It’s SEO Ready and supports Google AdSense. Ruby also has a lot of unique, useful and elegant widgets. With these features you will be able to tell your story and show your passion to design, lifestyle, gaming, tech and many more… in a distinguished and creative way. We truly hope that our Ruby will meet your requirements and you will love to work with it. Color Schemes Option: Choose from defined color schemes or design it as you like with unlimited color combinations. Fully Integrated With “WordPress Customizer”: You will see every change live on your screen. 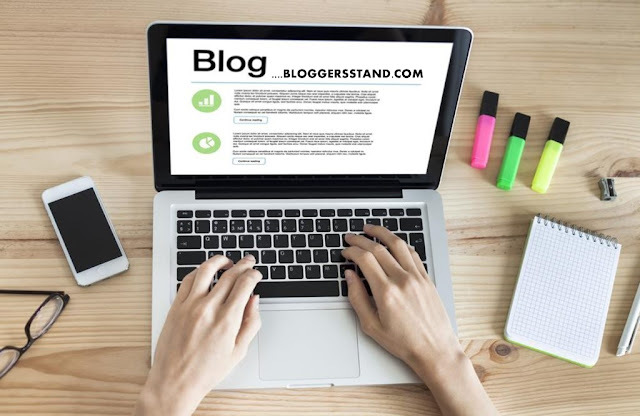 9 Blog Layouts: Classic View (Sidebar Right, Sidebar Left, Full Width), Gird View (Sidebar Right, Sidebar Left, Full Width), List View (Sidebar Right, Sidebar Left, Full Width). 3 Post/Page Layouts: Classic View with Sidebar Right, Sidebar Left or Full Width. 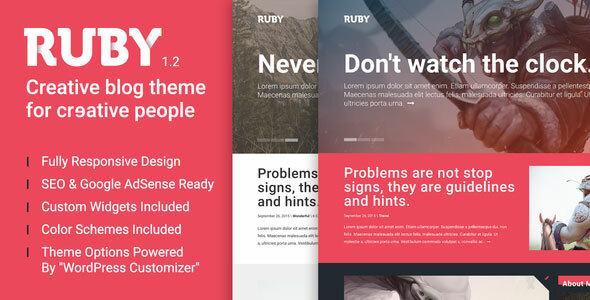 0 Comments on "Ruby - A Creative WordPress Blog Theme" So Far - Post Yours!